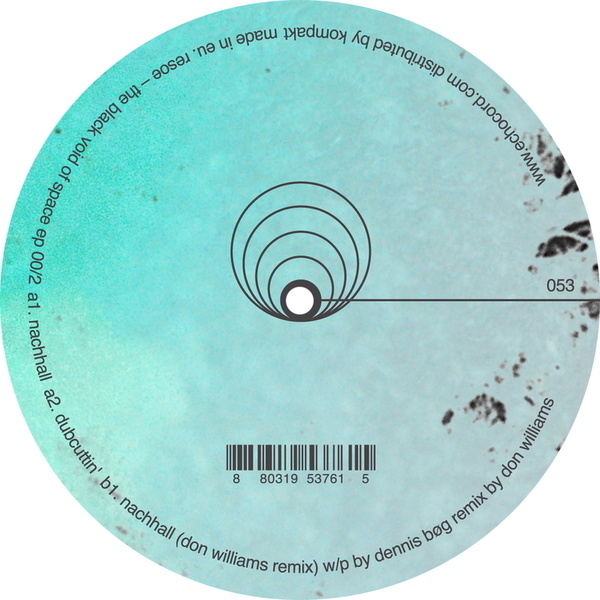 Building, spaced-out Techno dubs from the Baum Records CEO, backed with a shifty remix reduction by Mojuba founder, Don Williams. 'Nachhall' has its sights set on off-planet synthlines and ruffed-up Dub chords with slinky bass push, while 'Dubcuttin' works a svelt swingers vibe akin to older 2562 tunes. The real star, though, is Don Williams remix, playing it very cool and streamlined with only a few elements worked to 'floor-gripping effect.